Sew N Ink: But wait ...... there's more! But wait ...... there's more! What a great and busy month it has been in February firstly personally for me as we had a close friends wedding that I was photographer for but also as I write this post we are days away from our eldest daughter leaving the country for Ireland for the year and then who knows what, so exciting and emotional, rather distracting too I might add (for all the right reasons) from playing with paper of much lately. 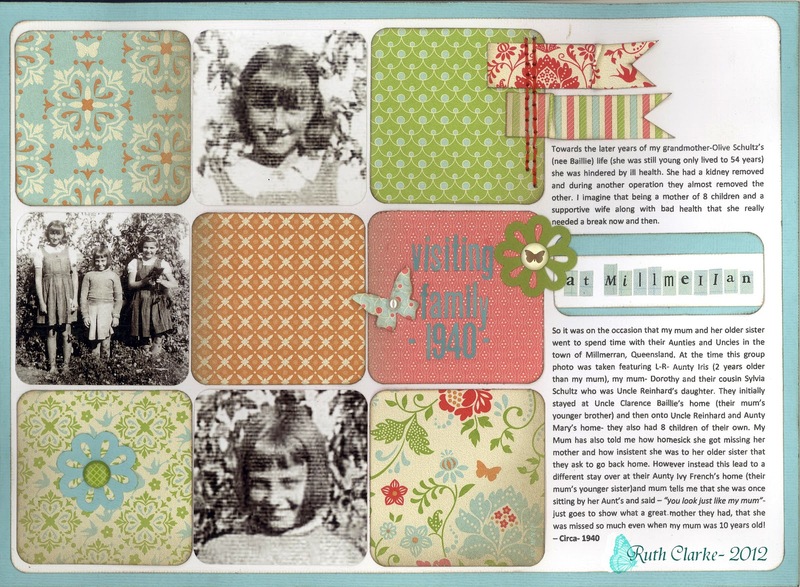 We have 1 more month in which you can take advantage of the free gooodies to be had during SALEBRATION campaign and here is another layout (another for my mum's heritage album) to wet your mojo. 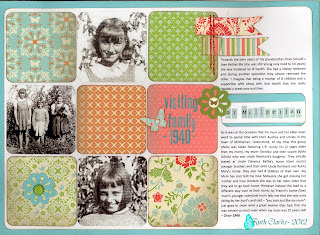 I have made so many layouts and projects from this DSP- Everyday Enchanted and still there is more to go- makes a very economical trip, even more so that it comes free when you spend $100 on any other product from the main and mini catalogues- so its all good!!! Please note none of these products can be purchased alone - they are rewarded as 1 free choice per $100 (before shipping or GST) spent on product from the current catalogues.